The semi-final was a five-try apiece thriller, which saw the lead change hands five times. With time elapsed, Transvalia were 33-27 up and holding on against relentless driving for the line by the home side. 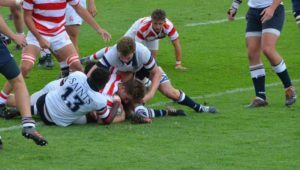 It looked like the visitors were going to advance to next Saturday’s final, but they turned the ball over and Helpies made one last onslaught, which ended in a try by replacement prop Niklaas Jordaan. 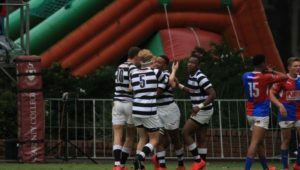 The touchdown was close to the posts and flyhalf Tiaan Botes kept his cool to slot the conversion and send his side into the final against Monument, who beat Garsfontein 45-15 in the other semi-final. Helpmekaar started strongly and got two tries in the first 10 minutes, both coming from forward moves, the first by prop Jean Engelbrecht and the second by flank Alec Skudder. Transvalia hit back in the 15th minute with a try by fullback Zelinga Strydom, closing the gap to five points, before Helpies got their third when centre Francois Janse van Vuuren ran a perfect angle and crossed over untouched. Transvalia came right back into the game minutes later when they were awarded a penalty after a player chasing a kick through was tripped. That made it 17-12 to Helpies, who ended the half with a penalty by Botes to take it to 20-12 at the break. Transvalia came out with guns blazing at the start of the second half and scored two tries in three minutes to go into the lead. They were both scored by centre Uli Wiese. He caught Helpmekaar napping with a quickly-tapped penalty for the first, and chased down his own kick ahead for the second. That put the visitors 26-20 ahead. 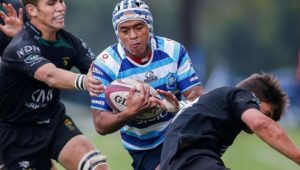 Helpmekaar struck back with a try by winger Christiaan Bezhuidenhout following a full backline movement, putting them into a one-point lead. Transvalia launched a counter-attack soon afterwards and centre Franco Wagner crossed over for a converted try that put them 33-27 up. From then on it was all Helpmekaar. They camped in the Transvalia 22m and launched attack after attack. Transvalia got their hands on the ball once or twice but could never clear it far enough and eventually their brave defence had to crack. It did, in injury time. Helpmekaar – Tries: Jean Engelbrecht, Alec Skudder, Francois Janse van Vuuren, Christiaan Bezuidenhout, Niklaas Jordaan. 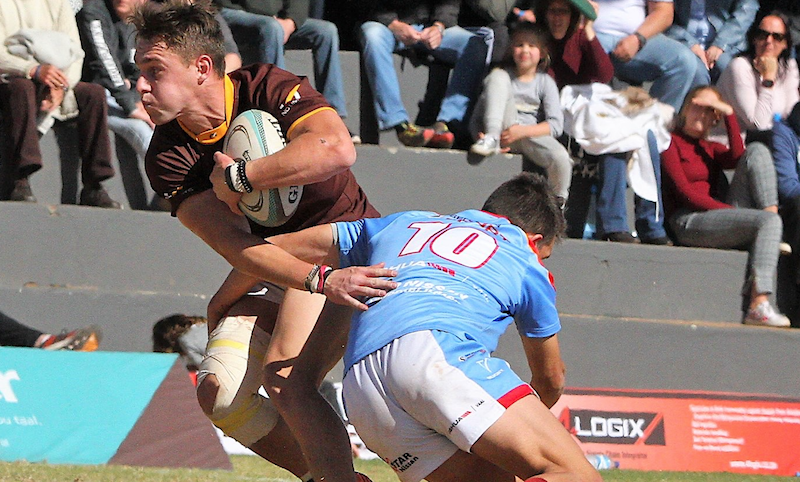 Conversions: Tiaan Botes (3). Penalty: Botes. 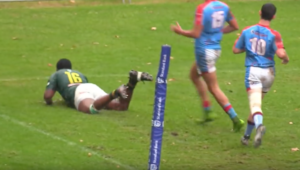 Transvalia – Tries: Zelinga Strydom, Uli Wiese (2), Franco Wagner, penalty try. Conversions: Zian de Jager (3).